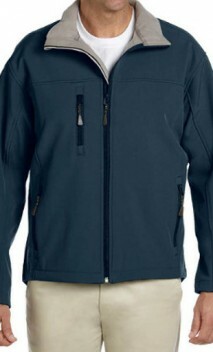 This fleece jacket is made from 100% microfilament polyester, finer microfilament yarns give this fleece a softer, plusher feel than other jackets. Pill-proof yarns prevent the formation of tiny fuzz-balls often seen on lesser quality fleece, so outerwear will look new – even after many washes. Weighing in at a substantial 300 grams per square yard, this fabric is guaranteed to provide more warmth than standard poly fleece jackets. 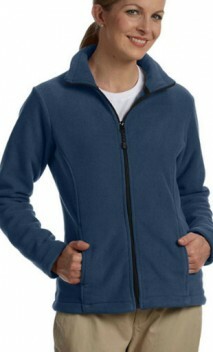 See other Devon and Jones® brand products or other custom fleece. LS 0 - 4 19.75" x 24.5" 12" x 12" 12" x 12"
LM 4 - 6 21" x 25.5" 12" x 12" 12" x 12"
LL 6 - 8 22.5" x 26.5" 12" x 12" 12" x 12"
LXL 8 - 10 25" x 27.5" 12" x 12" 12" x 12"
L2X 10 - 12 28" x 29" 12" x 12" 12" x 12"
Testimonials from customers who ordered item B682 and left a comment in their survey.